...to Damn the Man! 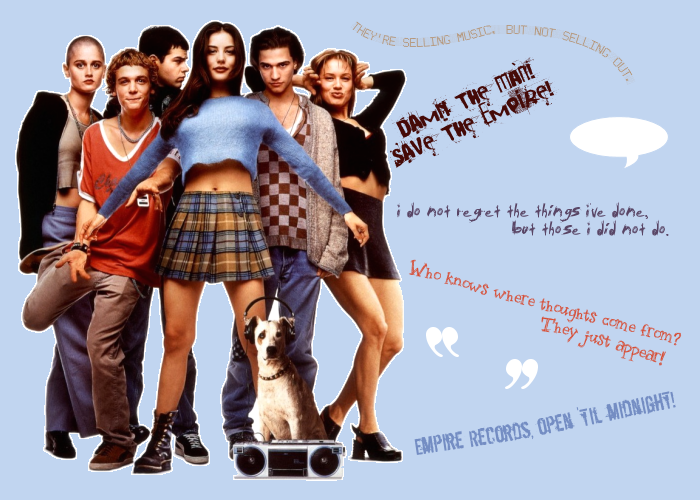 Save the Empire!, the fanlisting for the movie, Empire Records, listed at the fanlistings network, under the Movies category. This movie stars Anthony LaPaglia, Rory Cochrane, Renee Zellweger and Liv Tyler, just to name a few of many talented actors and actresses. This site is not affiliated in any way with Empire Records, its cast or crew. No infringement intended.